New Delhi: Bharti Airtel Ltd and another group entity will sell a combined 20% in its DTH arm, Bharti Telemedia Ltd, to private equity firm Warburg Pincus for $350 million as India’s largest telecom company seeks to cut debt. The transaction will see Bharti Airtel sell 15% in Bharti Telemedia and another Bharti entity sell a 5% stake to an affiliate of the private equity firm, the telecom company said in a statement on Tuesday. Bharti Airtel will use the funds to pare debt, said a person aware of the company’s plans requesting not to be named. The parent company will own an 80% stake in Bharti Telemedia on completion of the transaction, the company said. 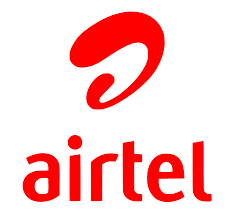 Bharti Telemedia offers services to 14 million users under the Airtel TV brand in India. It reported $550 million in revenue in the 12-month period ended 30 September. Viraj Sawhney, managing director of Warburg Pincus India, will join the board of Bharti Telemedia Ltd after the transaction is completed. Warburg Pincus was one of the early investors in Bharti. The PE firm had invested up to $300 million in Bharti Televentures Ltd, which was renamed Bharti Airtel in 2006, between 1999 and 2001 for about 19% stake.